Israel Conversations: How Did We Get Here? 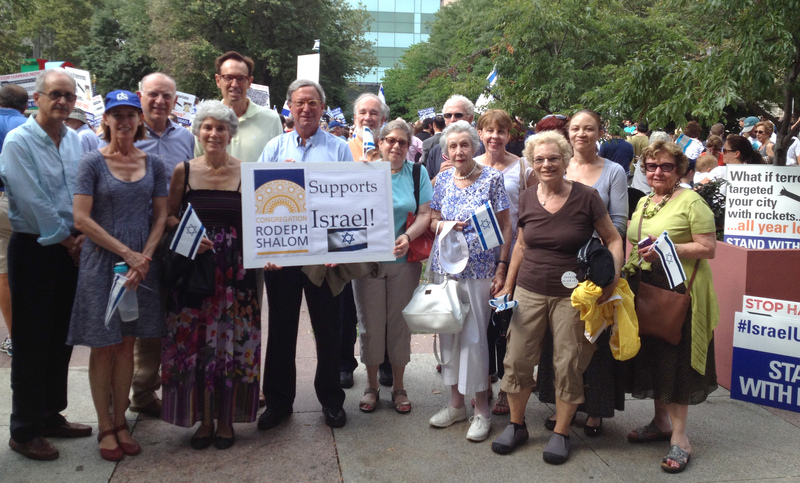 Rodeph Shalom congregants joined pro-Israel supporters Wednesday for an Israel solidarity rally. The rally was organized by the Jewish Federation of Greater Philadelphia. There were speeches from Elad Strohmayer, Israel’s deputy consul general to the mid-Atlantic region; state Sen. Anthony Williams; Federation President Sherrie Savett and CEO Naomi Adler; Josh Shapiro, chairman of the Montgomery County Commission; and Risa Vetri Ferman, Montgomery County’s district attorney. Our discussion on the blog this week was inspired by the question, “What song or piece of music makes you think differently or think deeply?” Some individuals mentioned a particular song and some mentioned a particular text. All talked about how the music makes them think. Two ideas emerged over again. In Jerusalem, What Else Do You Do? the Air Raid Siren went off. a young adult novel of fantasy and princesses and dangerous alliances brewing in a mysterious world. You are currently browsing the BlogRS blog archives for July, 2014.